You hear a lot about forgiving. How we should forgive one another, forgive ourselves, search for forgiveness. There is so much about forgiving that it is often overlooked that forgiving isn’t really forgiving. True Forgiving/Forgiveness … is not even having anything or anyone to forgive. Hence, the title of this writing … God (whatever it is that you think of when you hear that word) is for Giving…maybe that is where the word “forgiving” came from … just Give … if someone thinks they need your forgiveness then just give it … just Give without thinking about it … come from a Giving nature, allow God to Give through you. You don’t know what you or anyone else needs, but you get to see what is needed when you step out of the way and see. You don’t even know what Giving is. Sometimes Giving looks like taking and sometimes taking looks like Giving. But in spite of the appearances … God is for Giving … it is a Constant of That. 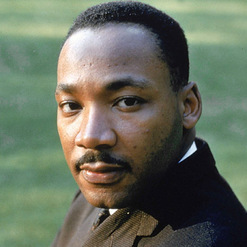 One could use the life of Dr. King as an example, his life was in Service to Giving. Giving a new way of seeing, giving a way of making changes without resorting to violence, giving a voice to those that were not being Heard at the time, and for leading a large group of people all in the same direction of giving a Dream of Unity Life. In his Death, he continues to Give by reminding us of His Dream, that we have the ability to get along without violence, without judgments, with the ability to not always understand what we are seeing but the patience to wait and see what comes.